As many of you already know, I recently changed office spaces. 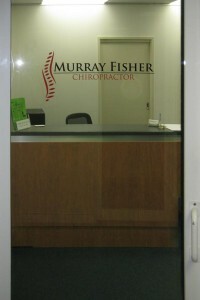 My practice is still conveniently located in the CPA building in the city centre, but now on level 7 instead of level 3. It’s a more spacious office, filled with natural light, and now being on a much higher floor there are some magnificent views of Canberra’s mountains. A number of patients have already described the new space as being “fresh”, “bright” and “soothing”. I’m continuing to receive positive feedback on the new space each day and it’s really wonderful to see the mountain views each day. I’m pleased now that the move is all finished and in case you haven’t been here yet, I’ve included some photos below. And perhaps to make the move even more official, I’ve published the following press release, “Canberra Chiropractor Murray Fisher Soars To New Heights in The CPA Building“.